New Orleans is always an interesting place to visit. While we didn’t intentionally plan this, our schedule had us camping there over Thanksgiving. We stayed at the Aviation Arbor RV Park at Naval Air Station Joint Reserve Base New Orleans in Belle Chase, LA. 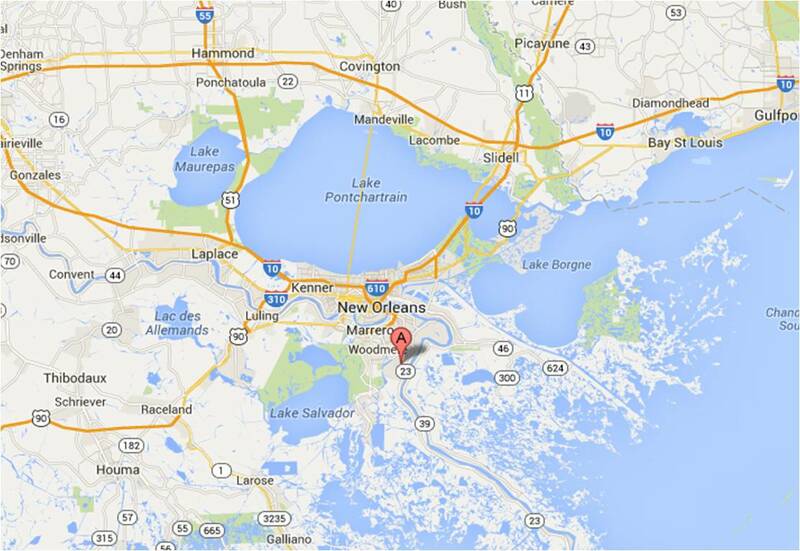 This is a relatively new military RV park and is the only military RV park near New Orleans. One unexpected benefit was that the base Galley (dining facility) was offering a Thanksgiving Dinner with all of the trimmings to all base personnel, military DoD civilians, and retirees. 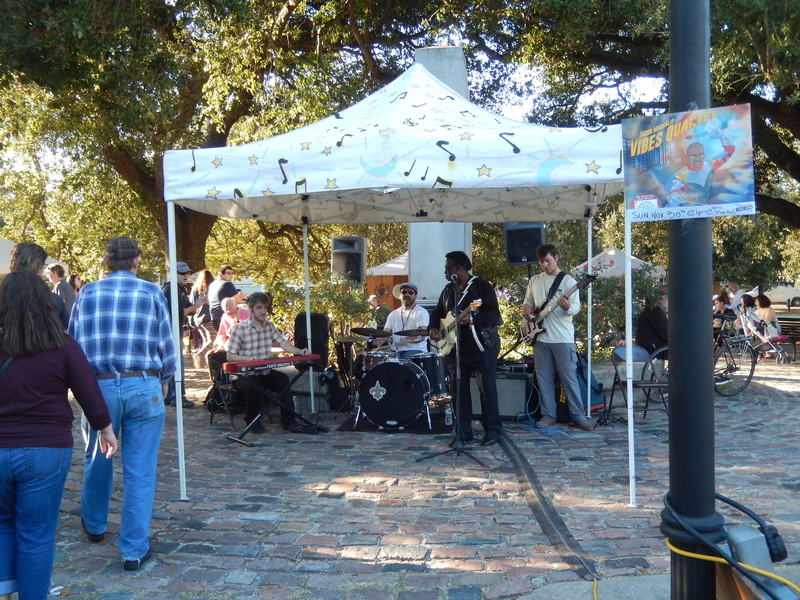 New Orleans has several events around the Thanksgiving holiday. There is a tree lighting on the day before Thanksgiving. On Thanksgiving day there is the Bayou Classic Parade from the Superdome through Lafayette Square. After our dinner at the Galley, we drove to the Algiers Ferry so we didn’t have to drive into the French Quarter and deal with all the traffic. The French Quarter is a short walk from the ferry. 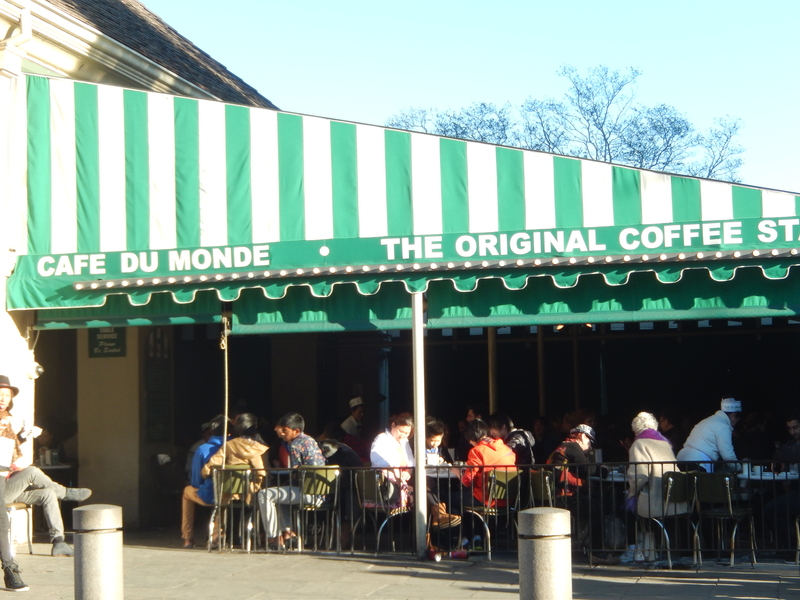 We wandered through Lafayette Square, stopped by the Cafe Du Monde (famous for its Beignets), and checked out the French Market. 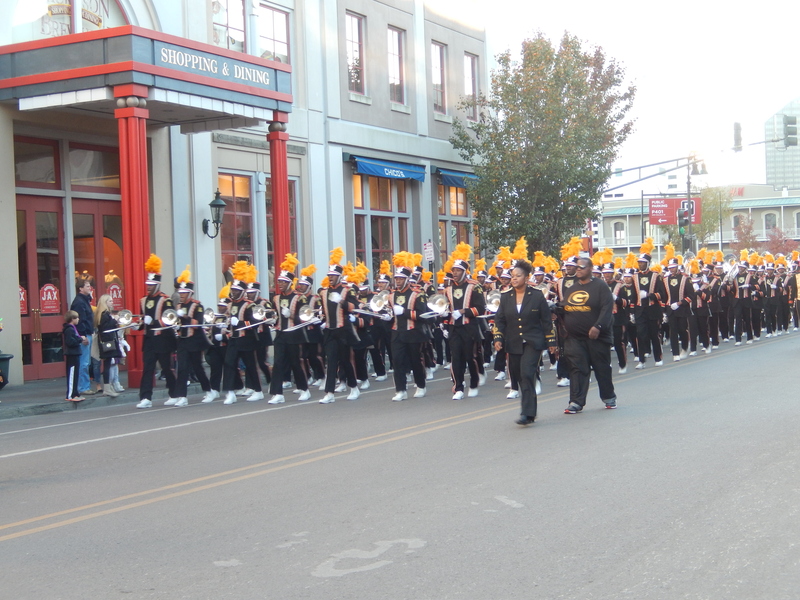 The parade was one high school band after another. I have never seen so many high school bands in one place before! Saturday there was the “Tis the Season” Art Festival at Palmer Park. There were many craft booths. Some were the typical paintings, or crafts made from some kind of scrap, but others were quite unique. The one I liked the best had banks that had been fashioned from post office boxes. There were food vendors and live blues music as well. From Palmer Park we rode the street car to the New Orleans City Park for the Celebration in the Oaks. 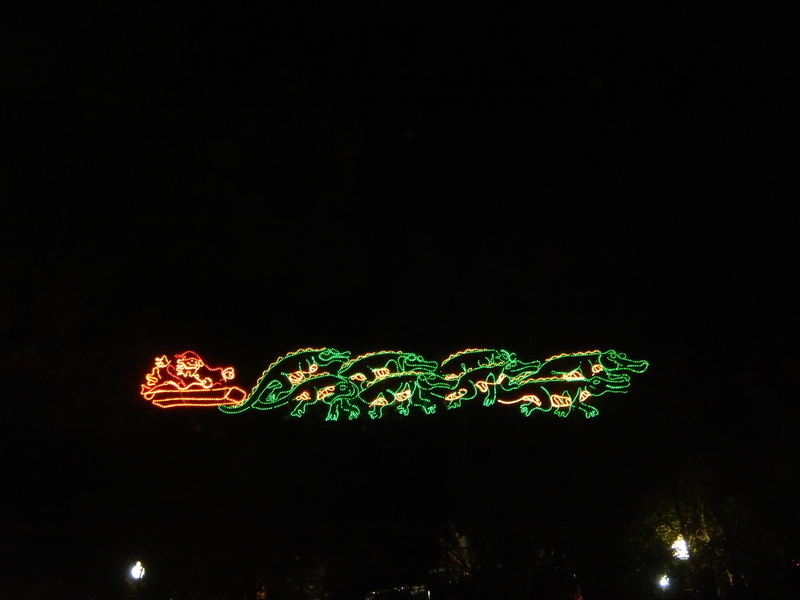 City Park’s famous oaks were swathed in hundreds of thousands of twinkling light displays, throughout the Park. We were treated to a wide range of attractions, from light displays to the walkways lined with dozens of Christmas trees decorated by local school groups. The animated “Rockin’ Around the Christmas Tree” with a Karaoke Santa was fun, but the most entertaining exhibit was the animated “Cajun Night Before Christmas” display. It was certainly the most unique Thanksgiving we have ever had, and on Monday, December 1st we were on our way to Pensacola, FL. This entry was posted in Fulltime RV, Louisiana, Michigan Traveler, Military RV Parks and tagged Beignets, Cafe Du Monde, Celebration in the Oaks, fifth wheel trailer, full-time RV, fulltime RV, New Orleans City Park, RV Forums. Bookmark the permalink.